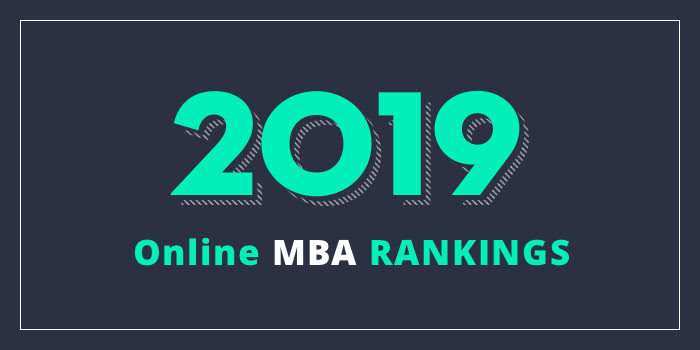 Our 2019 rankings of the Top 5 Online MBA Programs in North Carolina. For an explanation of ranking criteria, click here. The Kenan-Flagler Business School at University of North Carolina at Chapel Hill (UNC Chapel Hill) offers an online MBA program that balances asynchronous learning with weekly face-to-face classes with Kenan-Flagler faculty. An important component of the 66 credit hour program is the opportunity to participate in domestic and international immersions. Students are required to attend at least two immersions, which will take them to major business centers in the U.S. and around the world. Past international immersions have included London, Johannesburg, Singapore, Istanbul, and others. Many students participate in more than the two required immersions. [email protected] students may select from five concentrations including Entrepreneurship, Finance, Marketing, Strategy and Consulting, and Data Analytics and Decision Making. In addition, students may participate in several other programs to gain additional hands-on business and international experience. Optional programs include Student Teams Achieving Results (STAR) and Doing Business In (DBI). STAR students "learn by doing as they take on the role of consultants to real companies,” says the school. Doing Business In (DBI) "gives students an opportunity to study abroad at an MBA exchange partner school." The AACSB-accredited [email protected] program can be completed in as few as 18 months or as many as 36, depending on the student’s schedule and other commitments. Poole College of Management at North Carolina State University (NC State) offers a 40 credit hour Professional Online MBA that features six “Depth Areas,” comprised of the same functional area options as concentrations, but with fewer credit hours required to graduate. Known as the Jenkins MBA, areas for the program include Biosciences Management, Entrepreneurship & Technology Commercialization, Financial Management, Innovation Management, Marketing Management, and Supply Chain Management. This AACSB-accredited program also offers the opportunity to earn Decision Analytics or SAP Certification. SAP is the world's largest enterprise applications software company, with a wide range of software used by more than 38,000 firms in over 120 countries. The Jenkins Online MBA requires two three-day residencies on NC State’s main campus in Raleigh. In addition, students are encouraged to complete an optional International Immersion that lasts for seven to eight days. Per the school, “the focus of the trip is to provide global business and cultural awareness skills.” For 2019, travel experiences include France: MBA, Art & Science of Negotiation in Paris and Germany: MBA, Innovation & Marketing Systems in Munich. Study abroad trips take place during the Spring and Summer semesters, (usually mid-March or mid-May). The College of Business at East Carolina University (COB at ECU) offers an AACSB-accredited MBA program that may be completed entirely online or in hybrid format. There are no residency requirements for the 100% online MBA and students can create a schedule that works with theirs, with the support and guidance of a dedicated advisor. Student set their own pace throughout the program – taking between one to five courses each semester. Students can take a semester or more off if needed, and courses may be taken in any order, provided prerequisites are met. The customizable ECU MBA is designed for both business and non-business undergraduates. Per the school, the degree is “completely self-contained, requiring no prerequisite business experience or coursework.” The program consists of a maximum of 18 courses, or 54 semester hours, and “provides an engaging and flexible education in the theory and practice of business management – exposing students to a range of subjects,” including accounting, finance, economics, information systems, marketing, operations management, strategy, and supply chain management. Courses are divided into three categories including seven foundation courses, eight common body of knowledge courses, and three electives/graduate certificate courses. Certificates are awarded from the respective colleges or departments in conjunction with the degree and successful completion of a certificate is reflected on the graduate’s transcript. Students will begin the program with foundation courses to provide the basics needed to succeed in the MBA program, if the student’s background does not include “exposure to key concepts.” Completion of all five foundation courses with a GPA of 3.0 or above will result in a Graduate Certificate in Business. Of the 36 credit hours required for the program, 27 are core requirements, followed by 9-12 elective credits, which can be used to complete a concentration in one of eight areas. They include Business Intelligence and Data Analytics, Entrepreneurship, Finance, Healthcare Management, International Business, Marketing, Management, and Project Management. A General Management focus is available and a Capstone Project is also part of the program. Fayetteville State University’s Broadwell College of Business and Economics is AACSB-accredited. McColl School of Business at Queens University of Charlotte offers an MBA program that may be completed online, on-campus or a combination of the two. The program allows students to pursue a concentration in concentrations in four areas including Executive Coaching, Finance, Healthcare Management, and Leadership and Change. Students will also engage in face-to-face teambuilding exercises, leadership development, and networking with faculty members, executives, and fellow students at several required residencies. A second on-campus residency takes place halfway through the program. During the residency, students will apply the leadership skills they’ve learned “during thought-provoking exercises” and continue their “transformational experience on the journey to earning” their MBA. The AACSB-accredited McColl Online MBA may be completed in as few as two years.